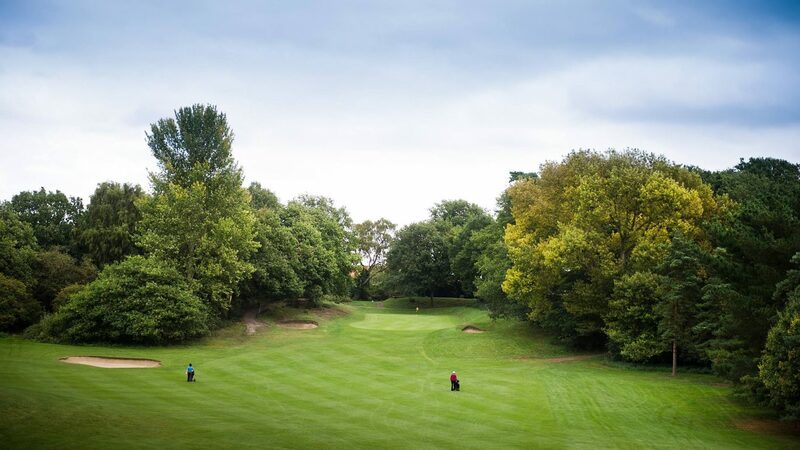 Royal Norwich Golf Club is set in beautiful woodlands on the outskirts of Norwich and home to an exciting but challenging 18-hole course, which was designed by James Braid. The 6th is a beautiful undulating hole played downhill from the tee and then uphill to a long green surrounded by woods on either side. The green is arguably the fastest in Norfolk when putting from back to front. The hole has never changed in design and with a fantastic drainage course the course is a joy to play all year round. Royal Norwich welcomes both members and day visitors to play a round of golf and use the excellent facilities onsite. The Pro-Shop provides guests with the best equipment and lessons for all ages and abilities. The friendly modern clubhouse and bar offers visitors the opportunity to relax and enjoy food which has been locally sourced from Norfolk whilst catching up on the latest golf on Sky Sports. There’s never been a better time to join Royal Norwich, with 2018 seeing the club celebrate its 125th anniversary before relocating to Weston Longville in summer 2019. Winter Special Offer: Coffee on arrival, all day golf and lunch from the daily specials board - £30 Monday – Friday (October – March) For more information on memberships or Braid Play Golf Credits, contact the club. The course is situated just 3 miles from the centre of the City of Norwich on Drayton Road, A1067. Weekday: £35. Off Peak: £20. Twilight: £15. Pro-shop, clubhouse, bar, venue hire for private functions.